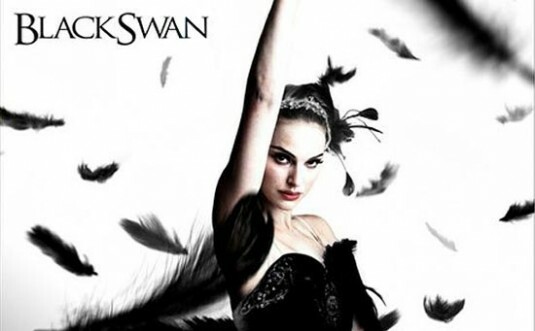 Natalie Portman won the Oscar’s Best Actress Award for Black Swan! Though I was not able to watch the Oscars live, I am still updated. Thanks to the people who love sharing news on Facebook. Before that, I was already curious since I read very short reviews about the film and Natalie Portman’s great portrayal in the movie. Just last week, my mom and I watched the movie Black Swan. I was initially told by my mom that the film would mostly deal with psychology. Never did I realize I would find the movie suspenseful. Some parts of the movie I really found disturbing especially for very young ones. I wondered why the movie is rated 13 only when I think it must be rated 18. Just my opinion since the movie is currently shown here in the Philippines and most people here are still not open talking which are for adults only. Mind you my mom even told me not to watch some sensitive scenes in the movie. But at some point I wondered my mother must have forgotten I am already in my past 20s! My goodness I believe I must also open myself to some issues of sexuality. I know I am matured enough to understand these things. Because of this I found some resemblances in Nina’s relationship with her controlling mother in the movie vis-à-vis my relationship with my mom. At times I find my mom so conservative with the way I should dress in public like for instance when we went to Boracay two years ago. Since most women wear short shorts, I also wore mine. My mom discouraged me since I looked thin and it did not suit me. I felt bad then since it became a very big deal. But then it just came to my mind that maybe what she was telling to me was right. Guess what, I changed to my more decent and comfortable clothes. Glad I did since I felt the cold air when we went outside that evening! Anyway, the following question came to my mind after I watched the movie: Can anyone really achieve such perfection? I suppose some who may be reading this have already watched the film. What I liked about it is it really focused to its central theme of perfection. It is told in the perspective of Nina who struggles in becoming perfect as a ballerina dancer. She has become obsessed that she overworked herself just to perfect her dance moves instead of just enjoying her moment of dancing. In some ways, I could easily relate to her character. I too admit that I also tend to become perfectionist but now in a more relaxed way I guess. I know I have already missed a couple of days posting in my WordPress blog. But that does not mean I should get upset. I would always tell myself to take time and just be relaxed. I could still get back on track. I realized that sometimes becoming overly obsessed with perfectionism leads to stress and extreme pressure. This has happened to me before. I must have felt toxic since it also affected my relationship with the group I headed in my community before. After that incident, I mellowed and become more relaxed in dealing with them. It also helped that I temporarily left the community I am still part of since this enabled me to reflect on the beautiful things I did. I never thought I could accomplish great things being a leader in our community knowing that I was shy before I became all out in my service. I am happy to have already overcome my shyness and I am embracing my better self now. Today I cried. I cried not because I was sad. Tears just started falling in my eyes. I just can’t help but cry with happiness. Cliché as it may sounds; it was indeed tears of joy. When I opened my yahoo mail, I was surprised to receive an email from a friend. I just did not expect it. Though I know it’s only a forwarded email still I take it as a great sign that she has already forgiven me. I guess time has already healed her. It’s been five months since I left in that company. I will never forget the time we embraced with each other before I officially resigned. I honestly felt bad when I learned that I must have taken her for granted as a friend. Just something happened last year. I tried to avoid her temporarily so that I will not be able to say negative things against people. Since we’re both comfortable talking anything under the sun, we kind of slipped our tongue talking negatively. Too late someone familiar to us heard us. And I was feeling guilty that time. After that incident, I have become more tactful about my words. I think she has misunderstood my odd behavior. And I cannot blame her for thinking that way. Nevertheless, I am still feeling thankful about everything that has happened to me the past year. This has helped me realized my flaws and my mistakes. I believe if not with that incident, I will not have the guts to resign. Not that I am escaping to save my face. I believe both of us just need more space to think and fulfill all our dreams.